G.R.L. has entered the UK singles chart at No 11, two days after its member, Simone Battle, was found dead at her home in Los Angeles. Simone Battle, 25, who joined G.R.L. after being a finalist on The X Factor USA in 2011, was found dead at her home on September 5. Her death, which has since been ruled a suicide, came as their full debut track Ugly Heart is starting to take off. 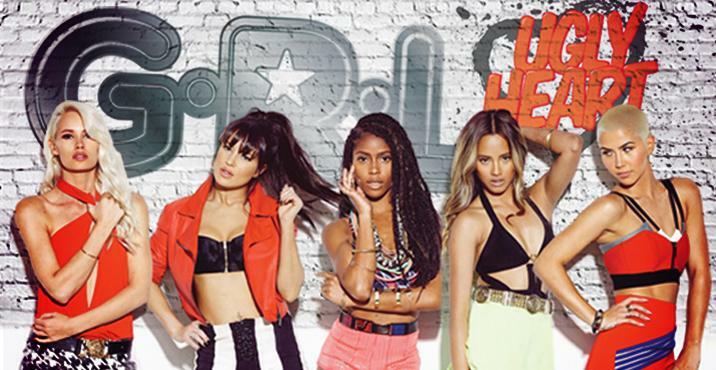 G.R.L.’s only previous UK chart appearance was as guest performers on Pitbull’s number six hit Wild Wild Love in May. The four remaining members of the group said in a statement that “words cannot express the depth of our loss” and “we will carry her memory with us in everything we do”. Meanwhile, X Factor judge Simon Cowell said Simone Battle’s death was “such a loss”. G.R.L. were put together by Pussycat Dolls creator Robin Antin and were originally intended to be a new version of the Pussycat Dolls after that group split up. Simone Battle’s death was ruled a suicide by hanging by Los Angeles authorities on September 7.